Do you ever wonder how you can affect change in your own neighborhood? Policy Coordinator Michael Kelley shares how you can join the conversation at public meetings and speak up for what matters to you. 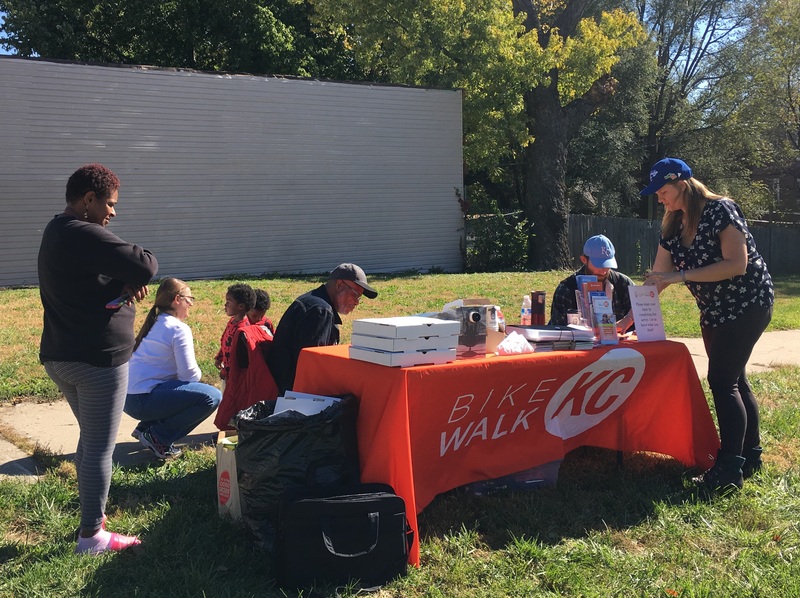 BikeWalkKC regularly works in both the advocacy and planning realms to foster policy and changes to the built environment that support active living. Our job is to research and advocate for the best ways to make neighborhoods more bike- and walk-friendly, but community participation is essential to creating a city that serves all of its people. That is why we rely on a myriad of diverse coalitions, organizations, and individuals like you to demonstrate the value our efforts bring to communities across the metro. One of the areas where we particularly need your input is with public meetings. 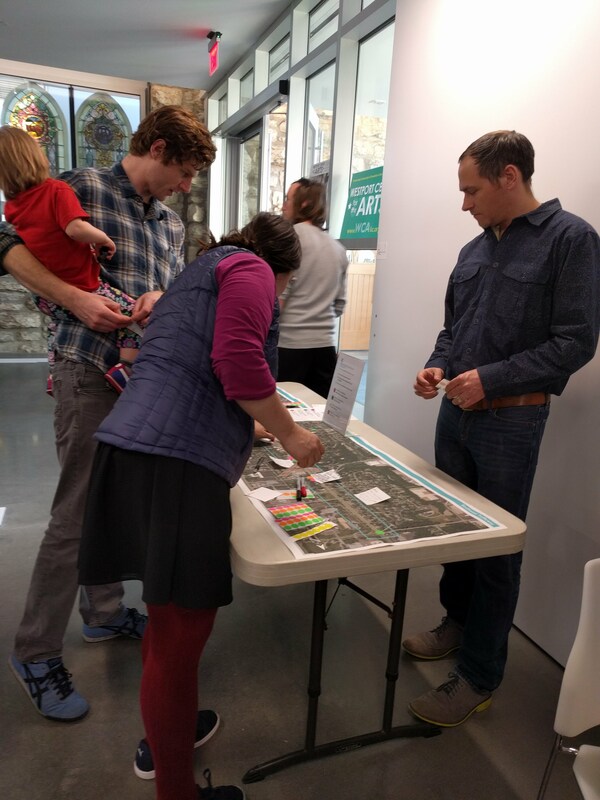 With the announcement of a series of public meetings to discuss the updated bike plan for KCMO, this is a great time to learn how you can get the most out of these events. The following items are not an exhaustive list, but following these steps can help to ensure that you are better prepared to make your voice heard on issues just beyond your front door! Do Your Homework: If there is a copy of the proposed plan available, check it out. You don’t have to know the proposal front to back, but it helps to have a general understanding of what is being suggested and what specific elements could affect you. Ask Around: Talk to your neighbors and any local organizations that you frequent about the plan. This is helpful for two reasons: 1) It helps you to gain a better understanding of how people from different backgrounds may be impacted, and 2) it helps spread the word about the meeting! Come Ready to Listen: Even if you know everything that the text of the plan calls for, go into the meeting prepared to listen to what presenters have to say. Oftentimes, there are relevant aspects of the plan that may not be explicitly spelled out in the text that the officials can speak about during their presentation. There could also be aspects discussed that you may have questions about that didn’t come up during your initial preparations. Speak Up: This is a public meeting, after all. As a member of the public, you have a right to make your voice heard on the issue at hand. If you don’t understand a proposed improvement, ask about it. If you feel that an element of the plan is being ignored or forgotten, tell the officials who are there what it is and how you think it could be addressed. The public meeting is an opportunity to place your mark on how something happens in the city. You will be much more effective if you are seen and heard. Be Respectful: Big projects often require compromises and tradeoffs, meaning there is a good chance people will have very different opinions about what the final result should be. While you may be passionate about what is (or isn’t) happening, don’t let that passion get in the way. The conversation around any proposed project is enriched when everyone can have an opportunity to make their informed opinions heard and respected. Stay in the Know: During and after the meeting, look for opportunities to stay informed on the next steps of the plan. Ask officials in attendance for contact information so you can follow up with any questions or suggestions you have after the meeting. Follow social media on the subject and/or sign up for updates via newsletters or other media. The work to improve a project doesn’t stop just because the meeting is over. Public meetings are an integral part of the process through which plans and ideas are considered and carried out. As a member of the community, you have a chance to make your voice heard and leave your mark on major considerations for the city. Whether it’s for bike lanes, curb ramps, or a walking program at your child’s school, make the most of your opportunity to speak up! Did you know? BikeWalkKC’s advocacy efforts are member-supported! You can lend your voice to our work by becoming a member today. And get the latest on bicycle- and pedestrian-related happenings when you subscribe to our newsletter! Posted in Advocacy, BikeWalkKC News, Local, News, Planning and tagged advocacy, bicycling, bike lanes, complete streets, pedestrian, planning, policy, walking.